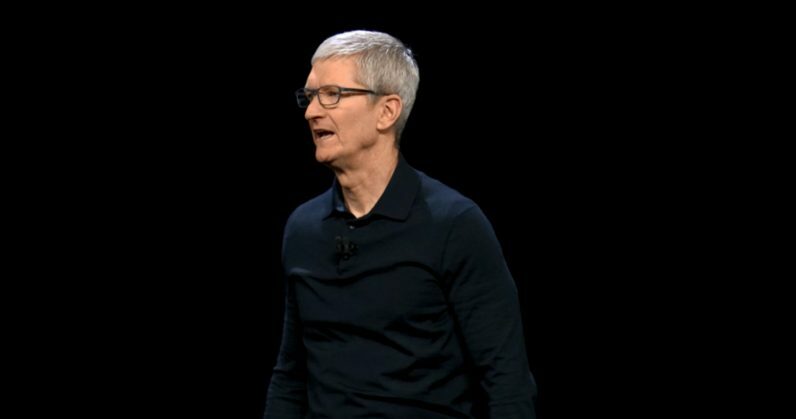 Apple kicked off its annual developer conference today with a promise to deliver exciting updates to each of its four operating systems: iOS, macOS, tvOS, and watchOS. Here’s what’s worth talking about. The emphasis today is on speed. Craig Federighi, Apple’s VP of Software Engineering, took to the stage to tout some of the things iOS 11 did — which was mostly just some not-so-subtle shade throwing at Android — such as its 95 percent favorability rating among users, or its greater than 50 percent adoption rate within a week of launch. ARKit was next, with the announcement of USDZ, a file format and a WYSIWYG (what you see is what you get) editor developed by Pixar that allows developers to move 3D objects into (and out of) Photoshop and Dimension with relative ease. Once there, you can begin building your augmented reality environments and objects for use in games, apps, and experiences. Photos brings about some new sharing capabilities, allowing people to build private, encrypted, libraries shareable with other Photos users. I’d expected more here, but I guess we’ll learn more this fall, at the iPhone event. If you were expecting game-changing features from Siri, you’re going to be disappointed. The best of its updates was the Shortcuts app, a Siri integration that’s sort of like Reminders but also sort of not. The app both learns and allows you to program common behaviors so that Siri can make suggestions along the way. If you order the same coffee each morning, for example, Siri can remind you or even place the order. Or, it can turn on your fitness tracker as you enter the gym. If Reminders and Maps got married, this would be the offspring it produced. There’s an app too. From Shortcuts, you can drag and drop multiple steps to build your own shortcuts. Surfers, for example, can build a shortcut to check the weather, view a surf report, and get a reminder to grab their sunblock. Stocks and Voice Messages are coming to iPad. I’m not sure how it took this long. Measure is an app, that, well, measures things. Flying right along to Focus, a new suite of apps that aims to keep you off your iPhone. Or, keep you from being glued to it, at least. Do Not Disturb now works during bed time. Notifications gets a feature called “instant tuning” which allows you to bypass the lock screen and go straight to Notification Center for certain apps. Perhaps the only truly exciting thing we’ve heard to this point is the announcement of grouped notifications. Messages, Calendar, and Twitter, for example, now have all of their notifications grouped together, allowing you to swipe a bundle of direct messages or Calendar notifications away at once. Activity Report is rather cool too. It’s a summary of how often you pick up your phone, when it happens, and what you’re spending your time on while you’re glued to it. You can even set time limits for specific apps, which notifies you when you’re past that 10 minutes you promised yourself you wouldn’t exceed on daily Facebook browsing. Once you’re over the time limit, iOS will shut you out of the app. It also works as a feature to keep children unplugged during bed time, or to limit their time used on specific apps — features parents have been asking for for years. Apple seems to have taken an interest in Snapchat, as well. New updates to Messages gives millennials new ways to use Animoji, or to play with a number of new filters and lenses right from the camera app within Messages. Or, you can play around with a new Bitmoji-like representation of yourself that reacts to facial queues (and your tongue, presumably) just like the existing Animoji characters. FaceTime is getting group messaging. In it, you’ll be able to join existing calls or create your own with up to 30 other people. It seems like something that should have already existed, but it will soon. Tiles shift around in a trippy-sort of digital space and resize based on who is speaking. You can also use stickers and effects in FaceTime, including Memoji — even in group chats. WatchOS 5 gets a host of updates, the bulk of which are, as you’d expect, fitness-related — such as a feature that gamifies your workout by allowing you to compete against your friends. Automatic workout detection is perhaps my favorite watchOS feature. The feature senses once you’ve started a workout and allows you to retroactively track it. Once you’re done, the sensors prompt you to end the workout as your heart rate and activity level begins to return to normal. For the 8-year-old in me, there’s the new walkie talkie feature, a mode that allows for easy communication with other Apple Watch wearers over cellular or WiFi connections. Bonus, you can now activate Siri just by lifting your wrist — no need to use the “Hey Siri” prompt. Siri Shortcuts work on Watch too. AppleTV 4k is getting Dolby Atmos. Unlike traditional surround setups, Atmos moves sound in 3D space, blanketing the room in something closer to theater surround through some really smart artificially intelligent processing. Apple is also working with cable providers to ditch the cable box. Spectrum is the first up, but others are coming. You’ll be able to log in to all of your subscription channels (HBO, etc.) through secure, automatic connections that require no credentials. Simply put, you won’t have to log in to each of your paid subscriptions — a painful experience considering how often you tend to get logged out of them at random. You can also use remotes from third-parties, including your cable company or a universal remote, to control AppleTV. Tim Cook took to the stage to talk about all the great ways the company planned to bring Macs into the future. And then he promptly disappeared, handing the mic again to Craig Federighi. The next version of macOS will be called… drumroll please… macOS Mojave. Dark Mode is coming. Finally. It’ll be available for any first-party apps, including XCode. Desktop Stacks looks cool. It arranges types of files into stacks, allowing you to easily access folders on the desktop through a Quick Look sort of interface. You can also scrub your stacks, which scrolls between files or images and allows users to choose the correct one without opening the stack. Finder is getting a new view too, called Gallery. There’s a big preview at the top, and larger thumbnails at the bottom. It looks a bit like Cover Flow, only better. Inside the new view, you can make quick edits, use Markup (or a handful of other features) without opening the file in a separate program, like Preview. You can edit these options by running Automator actions to do things like automatically add watermarks to images. Or, there’s even quick options for adding a signature, or trimming video. MacOS is also getting an iPhone-like screenshots feature. Once you snap the screenshot, a thumbnail appears in the bottom corner and by clicking on it you’ll have access to a variety of tools to edit, annotate, or resize the image. That’s not the only update borrowed from the iPhone either. You can quickly capture video (or GIFs) using the same screen recording and stop features that came to the iPhone in iOS 11. Continuity now works even better between devices. While working on the Mac, Federighi captured a quick image on his iPhone which was automatically uploaded to the Mac and added to his presentation. News is coming to the Mac, as are Voice Memos, Home, and Stocks. This isn’t at all unexpected, and it’s a bit surprising that Stocks and Voice Memos weren’t in macOS years ago. Federighi then moved to privacy. “This year, we’re adding greater protections on how apps can access [your information],” he said. Mac already provides API-level protection for Messages, Photos, and other items. In Mojave, it’ll also protect your Mail database, your backups, camera, and microphone. All of this will be protected, by default, on any app you run in Mojave. One of the highlights of last year’s keynote was Safari disabling tracking by default. This year, Apple doubled down on the move by shutting down share buttons and other items that may be tracking users without their knowledge. Mojave makes it more difficult for trackers to create a unique fingerprint for users, an update that makes it more difficult to for data companies to single out (and track) individual Mac users. Mac’s App Store is getting a fresh coat of paint, including Dark Mode. You’ll have the typical top charts as well as the content-driven approach of the iOS App Store. You’ll find behind-the-scenes information, tutorials, and theme-specific app recommendations. Metal gets some improvements as well, most notably in how it works with external GPUs (eGPU). Apple also announced two new platforms CoreML and CreateML, platforms that allow for speedy training of machine learning models on the Mac. And that’s that. If you were expecting hardware announcements, you’ll have to hold off until this fall, when we see the new iPhone, and perhaps some new Macs.